Nancy Anne Atzen was born July 19, 1939 in Racine, Wisconsin: the daughter of Wallace and Esther (Dunham) Helling. She graduated from Chenoa High School with the class of 1957. Nancy was united in marriage to David Atzen on August 3, 1958 at the Trinity Lutheran Church in Chenoa, Illinois; he preceded her in death on April 23, 2010. They lived in Lime Springs and moved to Waterloo in 1959 where she has been an important part of the community ever since. Nancy was employed at John Deere in the accounting department for many years, retiring in 2006. She was the current president of the Cedar Valley Historical Society, past board member of the Christian Crusaders, member of the Audubon Society, part of the Metro Community Concert Association, a volunteer for LifeLine, and a member of the Metropolitan Chorale for many years. Nancy was very active at Ascension Lutheran Church where she was the choir director, taught women’s bible study and served as a delegate for Valley Lutheran School. 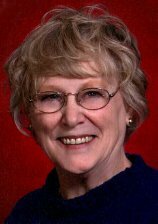 Nancy passed away unexpectedly on Sunday, May 15, 2016 at UnityPoint Health Allen Memorial at the age of 76. She is preceded in death by her parents; husband, David; a grandson, Allen James Tyler; and a sister, Carla Johnson. Nancy is survived by four daughters: Kathryn (Randy Moothart) Pierce of Frederika, Iowa; Denise Tyler of Arlington, Texas; Zoa Lynn (William) Loper of Soldotna, Alaska; and Natasha (Michael) Williams of Mesa, Arizona; 12 grandchildren; and 26 great-grandchildren. Nancy will be greatly missed by all who knew her. Memorials may be directed to the Ascension Lutheran Church or an organization of your choice in Nancy’s memory.